Home / Nutrition / Avocados / Too Much Avocado – Where Do You Draw the Line? Too Much Avocado – Where Do You Draw the Line? Avocados can be considered a nutrition powerhouse as they provide 20 different nutrients. 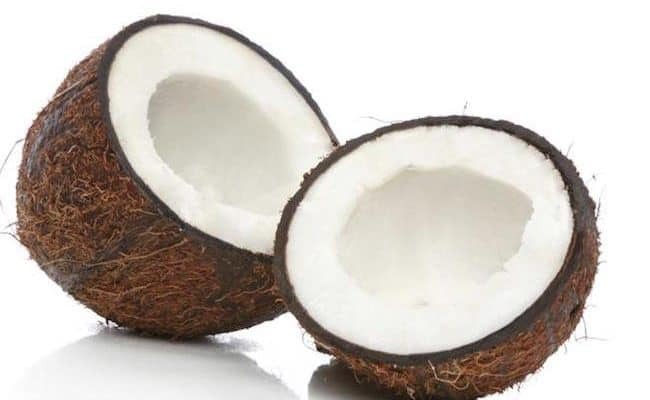 Yes they are high in fat, but they are high in monounsaturated fat which is considered heart healthy. Can you get too much avocado? Possibly, although it would have to be a lot. Avocados are versatile and can be used many different ways. 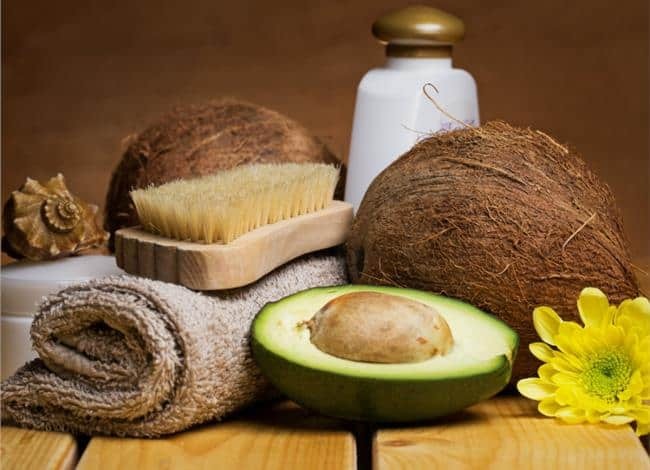 Replacing saturated and trans fats with monounsaturated fats, like found in avocado, is recommended for health. Here are some considerations for determining where you draw the line for avocado intake. What is a standard serving for Avocado? A standard serving of avocado is an ounce, which is about one fifth of an avocado. However, serving sizes can range from a fifth to a whole avocado. A fifth of an avocado provides 50 calories and 4.5 grams of fat (3 grams of monounsaturated fat). Going up to a ½ of an avocado serving size provides 130 calories and 12 grams of fat (7 grams of monounsaturated fat). According to the Institute of Medicine, healthy adults should get between 20-35% of calories from fat. 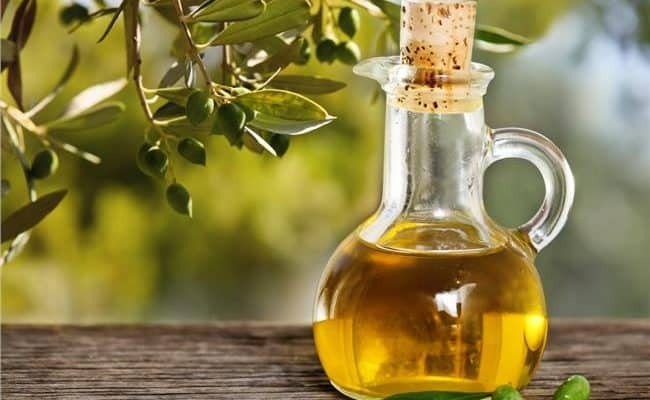 While there’s no specific daily recommendation for monounsaturated fat, it is suggested to replace trans or saturated fats with monounsaturated fat sources. If you are within the guidelines for total fat intake for the day, it is a good idea to replace avocado with other fat sources. 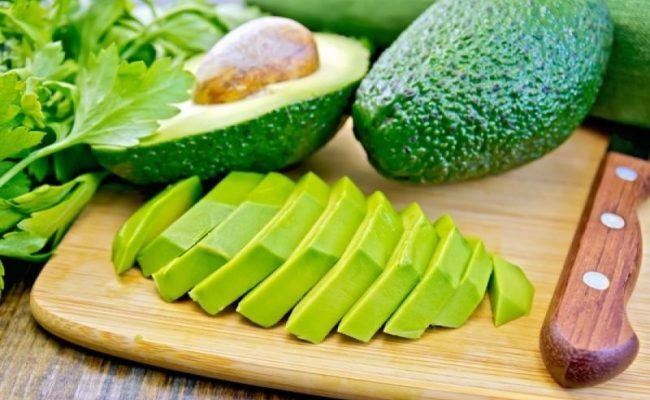 If you find yourself getting over the recommended amount of calories from fat because of high avocado intake (which would be a lot of avocado), you may want to cut back a little to get more of a variety of nutrients in your diet. Generally speaking, eating ½ to a full avocado can be enjoyed as part of a healthy diet. However, eating more or less can be called for depending on your body’s needs and total make up of your diet. Besides their own nutritional value, eating avocados could actually help boost your overall diet according to research from a 2013 study. 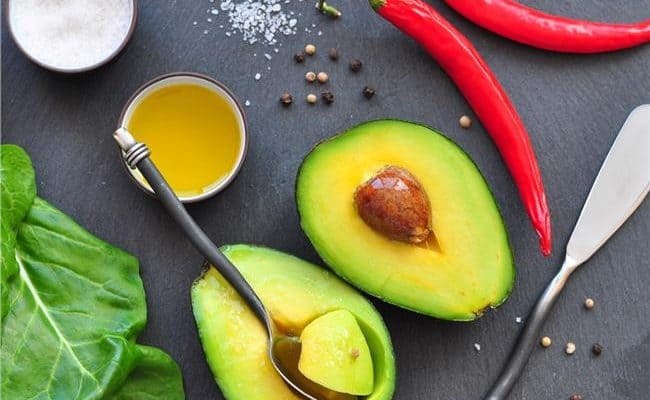 Researchers looked through the diets of more than 17,000 US adults and concluded that people who ate avocados had a higher intake of vegetables, fruits, mono and polyunsaturated fat and dietary fiber than those who didn’t eat avocados. Researchers concluded that eating avocados is associated with better diet quality, nutrient intake and lowered risk for the metabolic syndrome. One reason avocado eaters have better diet quality is that avocados go with so many other healthy foods. They are great on salads, used as a dip like guacamole, can be used in desserts, fruit salads, on sandwiches, burritos and egg dishes. When you eat avocados, see how many different ways you can use it and how many other healthy foods you can eat it with. Eating foods high in monounsaturated fats in place of foods high in trans and saturated fats is recommended for heart health. 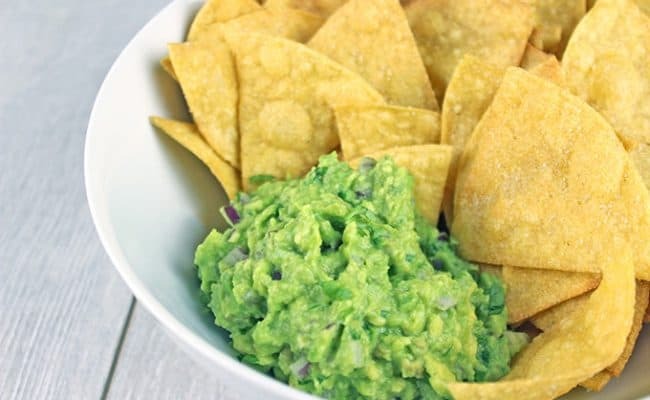 For example, you can use avocados as a substitute for butter, sour cream, mayonnaise or as a fat in baking. Another factor to consider with avocado consumption is how Western society drives avocado farming and sustainability. 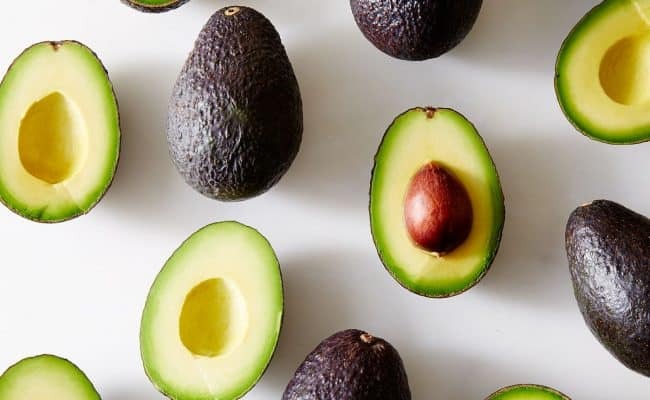 According to the U.N. Food and Agricultural Organization, American consumption of avocados has tripled since 1993 and global consumption has doubled. 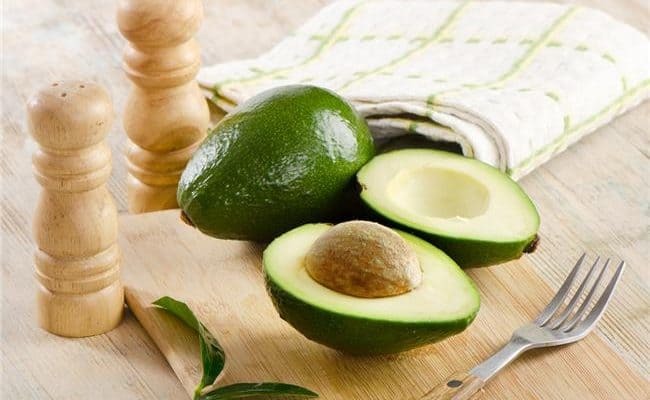 Avocados require a significant amount of water to grow, and the impact of transporting avocados from South American countries or Mexico to the US could be taxing on natural resources. Does this mean we should stop eating avocados? Maybe not, but we should be aware of how we can support sustainable food growth. Avocado farmers can also be put at risk from drug cartels for transporting drugs. Any food eaten in excess over an extended amount of time could increase risk to develop into a food allergy. While this would be rare to develop an allergy from avocados because of eating it too much, it could potentially happen. 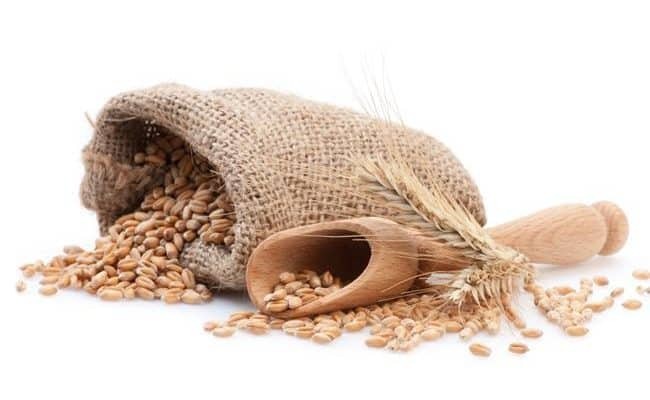 The rise of gluten, corn, soy and other food allergies in recent years may have been contributed to over consumption. 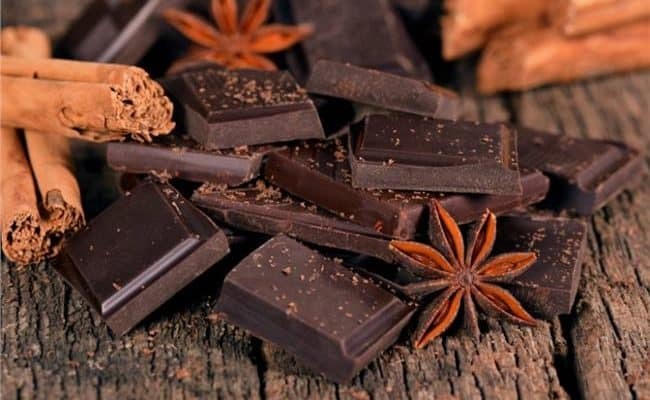 More research is needed to further understand the relationship between diet and allergy risk. Avocados are rich in many nutrients, including heart healthy monounsaturated fats. Having a diet high in monounsaturated fats is associated with lowering risk for cardiovascular disease. A standard serving of an avocado is one fifth of an avocado. However, eating more than this is definitely considered safe. In fact, eating 1/2 to a full avocado daily can be part of a healthy diet. Replacing saturated fat foods with monounsaturated fat foods is recommended. If you are wondering if you are getting too much avocado, determine what percent of calories are coming from fat in your diet. The recommendation for healthy adults is between 20-35% of calories coming from fat. If you are in this range and you eat a high amount of avocado, there is probably no cause for concern. In fact, eating avocados has been shown to have a positive effect on overall diet.